At Texas State Optical, we are proud to provide the eye care you need. 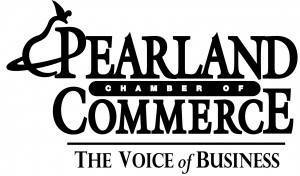 Below you’ll find a list of some of the key eye care services that our Pearland eye care center offers. For complete, quality care for your eye health and vision, look no further. Our modern and comfortable office is equipped fully with all the latest technology to provide you with first-rate services and benefits. Our skilled and experienced Pearland optometrist, Dr. Tuan D. Dang, will examine your eyes using advanced diagnostic testing. In addition to comprehensive eye and vision evaluations for all members of your family, we also manage ocular diseases, such as diabetic retinopathy, glaucoma, and macular degeneration. No matter what type of corrective eyewear you require, we are experts at assessing your vision and fitting you with the most suitable eyeglasses and contact lenses. We believe in staying on top of all the current medical and technological trends so that you receive up-to-date care and treatment. With a full range of Pearland eye care services, our mission priority is to help you achieve a sharp vision and top ocular health. At our eye care center, we are proud to welcome new and existing patients from the neighboring communities of Pearland, Missouri City, Sugarland, Manvel and South Houston, TX. A complete ocular evaluation involves much more than checking visual acuity. Using a variety of procedures and specialized equipment, Dr. Dang will assess the health of your eyes. A comprehensive eye exam is critical for early detection of many common eye conditions and diseases that are often associated with aging. Although not a substitute for an eye exam by an optometrist, the free Online Vision Screening Check will provide you with an initial idea of the current performance of your eyes. Clear, quality vision is crucial for your child’s learning and cognitive development. Early diagnosis of a pediatric vision condition can help prevent many learning problems and delays. We offer pediatric eye exams from a very young age, and we encourage routine follow-up testing for all school-aged kids. If you have been diagnosed with an eye disease, such as cataracts, macular degeneration, retinopathy or glaucoma, we will help manage your condition to prevent future vision loss. Dr. Dang will consult with you to determine your individualized treatment plan. Our TSO Shadow Creek office in Pearland, Texas, is furnished with the latest optometric tools and modern equipment. To ensure that your experience is pleasant and positive, we use state-of-the-art technology that’s patient-friendly. This medical imaging technique generates a 3D map of the surface curvature of your cornea. The non-invasive, painless procedure provides our optometrist, Dr. Dang, with important information for diagnosing and treating many ocular conditions, as well as checking the proper fit of contact lenses or planning for refractive surgery. Irritated eyes, redness, uncomfortable contact lenses and eye infections are all possible symptoms of Dry Eye Syndrome. This annoying condition is due to a constant lack of moisture on the surface of your eye. We offer a variety of treatments to help alleviate your discomfort. It’s important to protect your eyes adequately when engaging in sports and physical activity. In addition, customized sports eyewear can help upgrade your performance – whether your game is hockey, skiing, basketball, racquetball, fishing or hunting. For complete eyesight, you need to see what’s on your sides in addition to what’s directly in front of your eyes. We will assess your peripheral vision with a series of specialized tests. The risk of glaucoma rises with age, and it’s recommended to be tested regularly for this ocular condition. The internal pressure of your eyes will be measured and a detailed retinal scan will be used to inspect for any signs of disease. While this visual condition is very common, fortunately it is also corrected easily. We will diagnose and treat your astigmatism with either eyeglasses or contact lenses. Surgery may also be an option. After age 40, many people find themselves holding printed pages farther away in order to focus clearly on the words. If you relate to this “long-arm syndrome”, we will check your eyes for presbyopia, which is corrected efficiently by specialized eyewear.